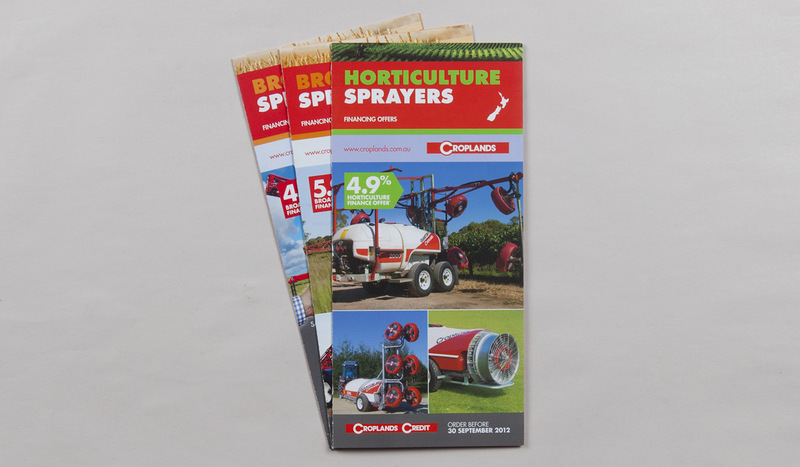 Croplands have been manufacturing and supplying quality spray equipment, components and accessories in Australian and New Zealand for over 40 years. Algo Más has enjoyed an ongoing relationship with Croplands since 2006. In 2011, Croplands employed a new Marketing Manager. It was soon revealed that the absence of an overarching corporate style guide was resulting in significant inconsistencies being introduced by design suppliers. Algo Más was engaged to conduct an audit of all marketing  collateral. 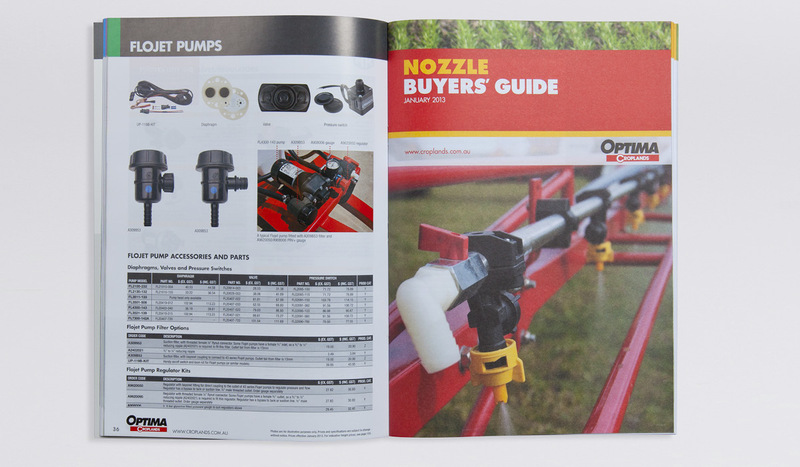 Croplands have grown into an international business with hundreds of dealerships and thousands of products, so it was becoming increasingly important to provide a consistent look across the Croplands brand. 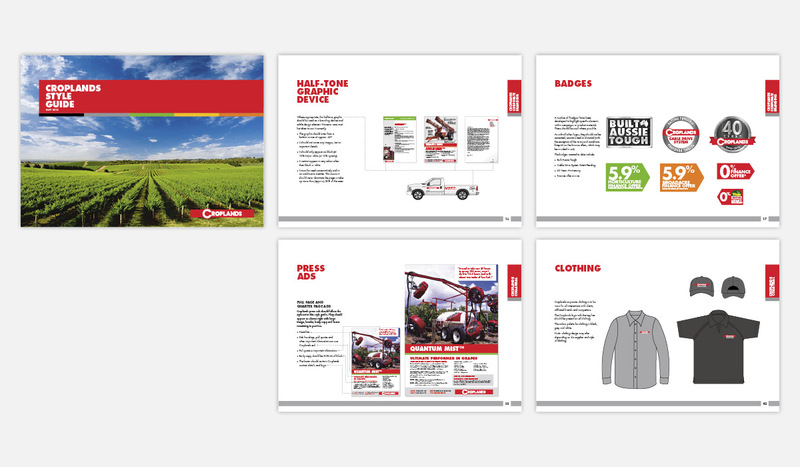 Algo Más developed a comprehensive style guide that addressed the way Croplands presented themselves internally, to their dealers and most importantly, to the  consumers. 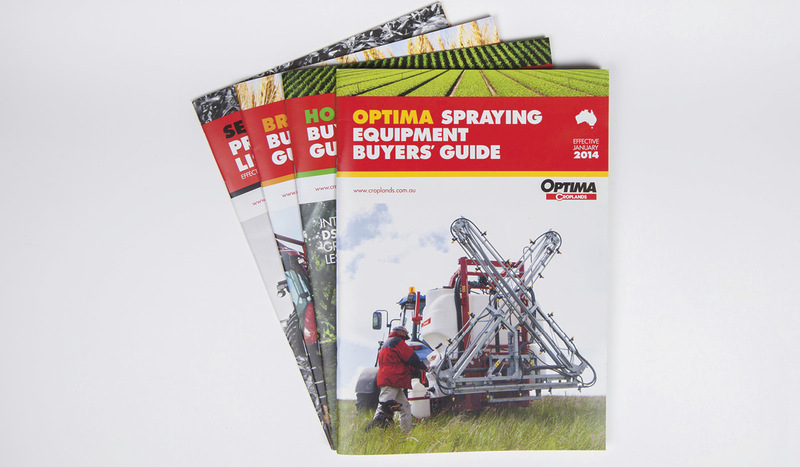 We also design and print manage the Buyers’ Guide for their Optima range, which is an 84-page guide that is distributed in both Australia and New Zealand. 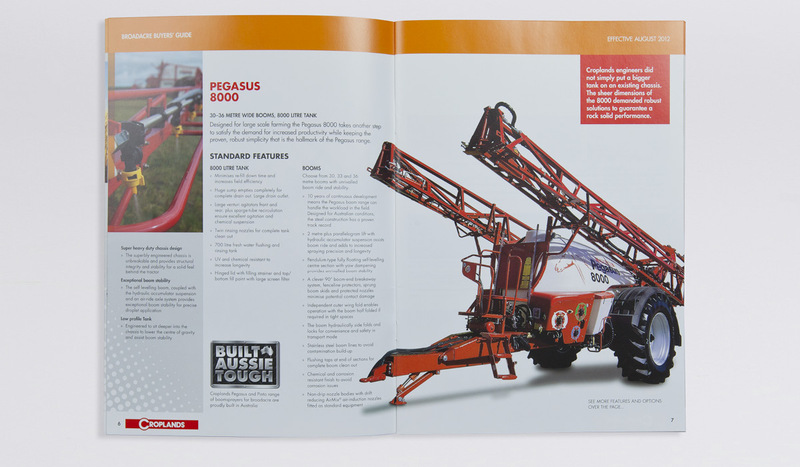 We continue to regularly produce many varied projects for Croplands, ranging from small press ads to huge signage.